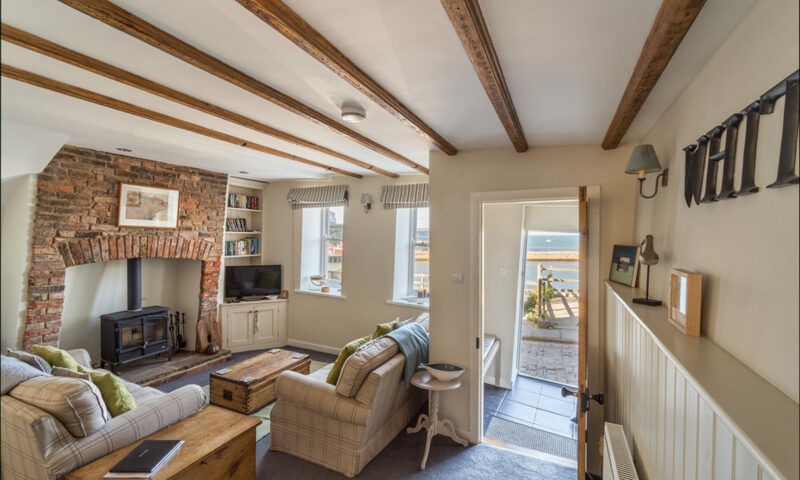 A favourite with families and pet lovers, cosy Harlow Cottage is in Sandsend, one of the most stunning Yorkshire coastline settings. Stay here to enjoy a quieter break, just three miles from bustling Whitby. We highly recommend 18th century Harlow Cottage if you’re travelling with a family or pet that loves the great outdoors. Sandsend is a small village on the heritage coastline, three miles north of Whitby. It promises panoramic seascapes, miles of countryside walks and acres of beach for playing and rockpooling. Harlow Cottage is a two-bedroom holiday home, 40-metres back from the seafront and away from passing traffic, up a quiet pedestrian courtyard. The cottage is set over three levels and - as is typical in Whitby cottages - the staircases are rather steep. The effort is truly worth it as you’re rewarded with the most beautifully finished accommodation. Enter through the picket fence into a warm and welcoming lounge with comfy sofas and electric stove. The galley kitchen is a visual delight, and the hard flooring downstairs is super practical for after days on the sand! 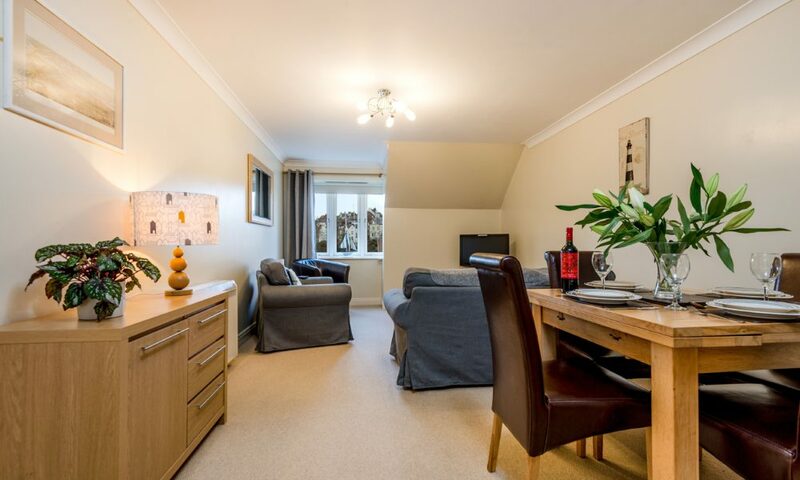 Climb staircase one to find the spacious twin room and family shower room. Climb higher still for the double bedroom, with its impressive pitched ceiling and glimpsing sea view. At certain times of the year the southerly beach at Sandsend does not permit dogs, please observe the signs. For some interesting history on Harlow Cottage, please visit our 'Whitby Blog' page. 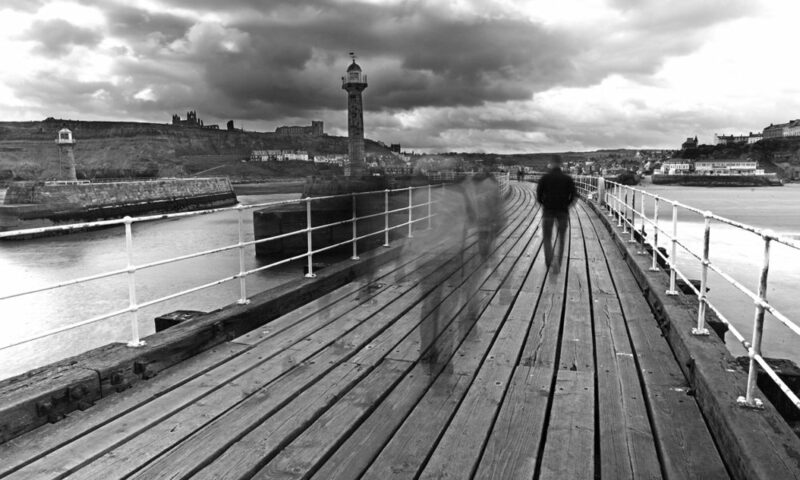 You’ll probably need a car if you want to travel down to Whitby. Parking is two minutes away in the public car park and there’s the village store close by, where you can pick up essentials. For a big shop head out to the Spar or Sainsbury’s nearer Whitby. There are several little beach front cafés or for eating out try The Hart Inn, around 20 minutes’ stroll round the bay. Thank you again for Harlow Cottage. We have had a very pleasant holiday and looking forward to next year for another break. We have had another lovely stay in Sandsend. The cottage as usual was clean, warm and cosy. Thank you Billy for your help. Gorgeous cottage, fabulous location. We've had a lovely break, will be back!